Tales of a middle aged Novice: Am I nearly there yet? 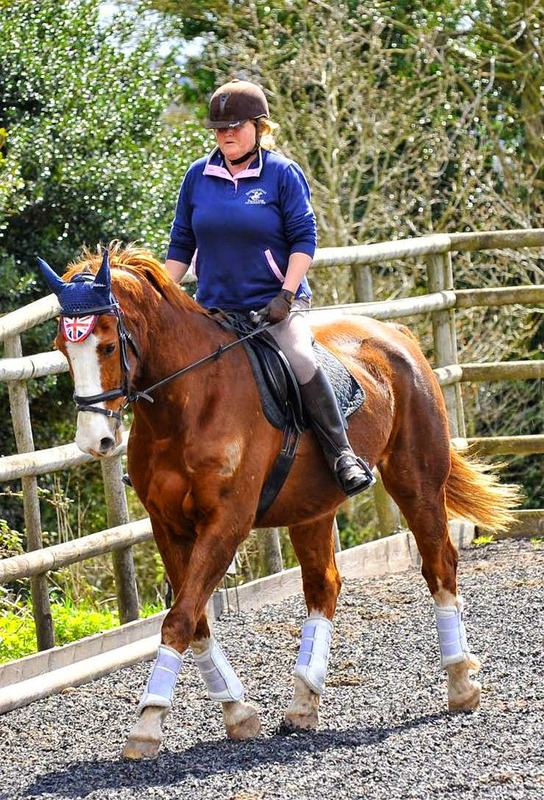 I am a woman of a certain age who has finally been able to enjoy my love of horses Initially to ride them but as time has gone on I have learnt there is more to horses than riding them and want to share this with you. Learning to ride, for me is like climbing a hill, but you can’t quite see the summit, but you feel you will see it in a little while just keep making steady progress and it will come clearly into view any minute. You feel the effort of walking uphill and your body takes a while to find a rhythm, eventually your breathing settles down and you feel comfortable, yet challenged at the same time. Keep going to the top you think. Then you decide its not so close so you stop and admire the view, have a cup of tea even, enjoy the moment, to moment achievement of getting closer to the top. You have what you think is your goal in view at last for it to turn out to be a bit of a plateau which stretches out for much longer than you could ever of imagined, whilst its sort of easy putting one foot in front of the other, you feel like you are not actually getting anywhere. Then your path starts to climb, much more steeply this time, you realise now that you are actually climbing a mountain. You stumble, quite a bit and take another rest and this time the view is magnificent, but its hard and you still are not sure if what you think is the end is really what it seems. You start to wonder if this height, is good enough, just stay put, why push on any further, how much better can it be up there. Then you consider all the options, rest longer, and enjoy being where you are. Throw the towel in and start back down where you would be much more comfortable, or keep going because it must be worth it. While you are making up your mind you turn to your guide and ask “Am I nearly there yet” she looks at you kindly and answers, “nearly”. Well if you don’t keep going and turn back you will never know what it‘s like to have actually got there, so………. I agree with you, riding is a journey but the destination is always further ahead, as there is so much to learn. And horses are not machines so you have to factor in dealing with their foibles and personalities. I don't think I will ever reach the end of the journey and I don't want to. I remember asking my first riding teacher how long it takes to learn how to ride a horse. She told me you are never finished learning, even the best riders are always learning and striving to be better, for themselves and their horses. I'm not an accomplished rider, but like you, I hope to be the best I can (even though I'm not riding at the moment, something I hope will change soon). Best of luck with it all. Thanks, hope you can get back in the saddle yourself soon, it can be frustrating but its fundamentally the best thing ever. I love the outdoors. I have only went riding a couple of times but would love to do it again. I try to get outdoors as much as possible and exercise is very important to my health and well being so doing it in the nice weather is the best medicine. Sara, you are absolutely right exercise is very important to us all and the best chance to keep at it is to get our exercise from an activity we love doing, simples!!! For me there would be nothing worse than running on a treadmill but that really suits some people so good. The outdoors is best. A little Elegance, at last! "Carrot and Stick?" no "Tart and Sugary"
(c) copyright Alison Barton 2012. Simple theme. Powered by Blogger.